Australian Rules Football or Footy is the most popular sport in Australia. Hundreds of thousands of fans countrywide play the game and also support their local and national teams. Footy talk is heard in offices, shops, clubs, schools and colleges countrywide. This feel-good sport is sure to put everyone in a good mood for the upcoming weekend packed with games. 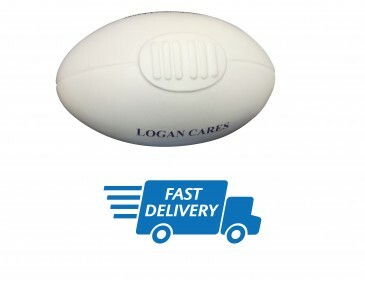 Get your company image noticed on a fabulous replica of a miniature Footy ball that also doubles up as a stress ball. These balls make fabulous marketing promotional gimmicks for trade shows, outdoor occasions, sports events, school and college events. Your clients can squash them, smash them and squeeze them and they will retain their original shape for years on end. 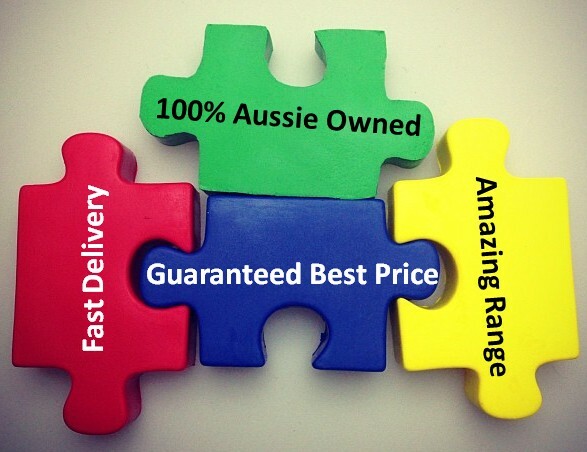 Our Footy balls come in a range of bold and fun colours. They feature the iconic shape the real ball in design and look. A graphic design of the stitched seam in a contrasting colour runs along the centre of the ball. The stitching is neatly enclosed in a border made up of swirly lines. Create a commotion around your company image when you brand your personalised logo onto these stress balls. They are ideal for any business operating in the sports industry. Branding is easy to do, our fabulous designers will advise. Our listed price includes branding of your logo or graphic in a single colour print onto the ball. This product is supplied in bulk quantities.A branding set up of $70 applies. Prices exclude GST. For additional print colours consider having additional pad printing onto the stressball, please refer to the pricing table below. Alternatively please email or phone us for a written formal quote.